Under test pressure, some IELTS candidates tend to feel compelled to use certain words and expressions for the sake of passing a test. Unfortunately, this may be harmful than good, as doing something for the sake of having to do it without giving it much thought may lead to errors that can cost the test taker the precious band score they need. This includes the use of linkers. Perhaps IELTS candidates have been continuously conditioned to use linking words because this would increase their chances of obtaining a good score. This is true, but unfortunately, this may also not be true. Under test pressure, some IELTS candidates tend to feel compelled to use certain words and expressions for the sake of passing a test. Unfortunately, this may be harmful than good, as doing something for the sake of having to do it without giving it much thought may lead to errors that can cost the test taker the precious band score they need. The word unfortunately links the second sentence to the first by providing an idea of contrast. The 1st sentence gives the reader the initial impression that “using certain words and expressions” is good. The word unfortunately prepares the reader for the opposite idea: that this is, in fact, not good. So unfortunately acts like a bridge between the two sentences. The difference in terms of proportion of people of age 51-65 who were making charitable donations, across the two years, were mere 5%. Likewise, around 32% individuals of age over 65, donated money in 1990. The first sentence shows that the difference of donations was small – a mere 5%. Likewise should prepare the reader for a similar pattern. However, it doesn’t. Instead, the IELTS candidate has given an unrelated statement that fails to talk about a small difference. In fact, they have mentioned something completely the opposite – 5% is not similar to 32%. This is a huge difference! So, what is the purpose of this word likewise? This only confuses the reader and would lead to the writer being penalised for a lack of coherence. An appropriate word in place of this would be however. 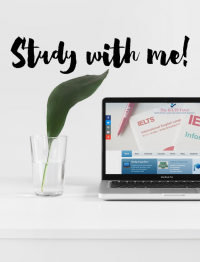 So, my advice to all IELTS candidates is this: please use linking words only if they provide a meaningful relationship between one sentence and the next. Not all sentences require a linking word. Remember to consider the meaning of the linker that you are using. Go over your writing at the end to see if they help make your writing coherent.